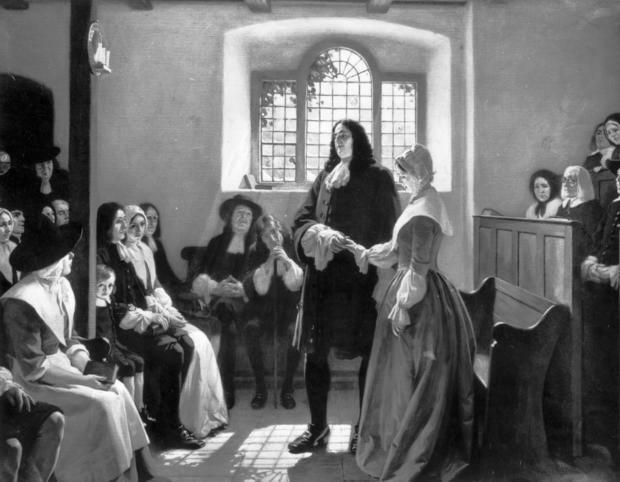 In 1683, in the new Colony of Pennsylvania, two woman stood trial on the Charges of Witchcraft. The owner of said colony William Penn stood as judge over the trial with a jury of 12 Men. The charges against the two women were many. The mood of the Colony was chaotic. The outcome could rip the colony and the Mid Atlantic area asunder. Eight years later, in the Massachusetts Colony, a similar situation would emerge. The outcome of those events shows what could have happened in Penn’s Woods. 20 people were tried and Executed. Over 100 people were imprisoned. Many more lives were ruined due to fines and loss of incomes. Fear and hysteria ruled the land fed by greed and revenge. The PA witch trials could have turned out the same. But they didn’t. No one was hung, no one was crushed under rocks. The Difference will be discussed, and the story of “The Witch of Ridley Creek” will be told. Please note that some dates will be odd, as some record are in the Julian Calendar, and some in the Gregorian Calendar. Where I know which is witch I will place a JC or GC. We currently use the Gregorian Calendar, however many protestant denominations refused to use it due to popery. This is a whole nother subject. First let's look at the area and situation leading up to the Trial. To do this we need to travel to the Colony of New Sweden. New Sweden was settled in 1638 on the Banks of the Delaware River. This was Sweden’s colony in the New World. Due to world affairs, the Dutch took over the colony in 1654. A series of wars later, and the English took over the area is 1664. In 1681, The King, Charles the II grants the William Penn a large tract of land to pay off some Debts. 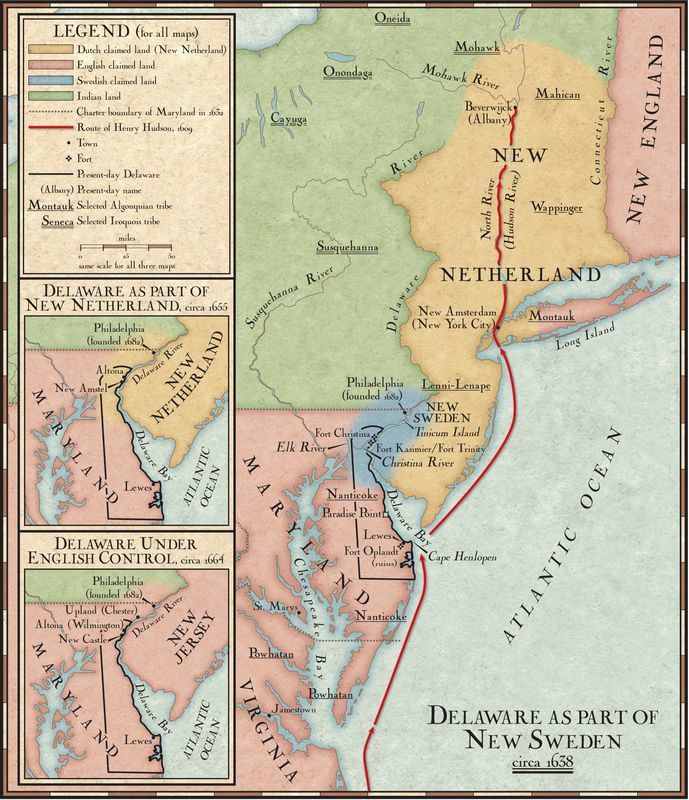 This tract later becomes the States of Pennsylvania and Delaware. The first European settlers on the West shores of Delaware Bay were a mix of Swedes and Finns as a part of New Sweden. Om May 22, 1654, Nils and Margaret Mattson arrived in New Sweden. They acquired a tract of 100 acres from Olaf Persson Stille on June 13th. This was a rich farmland near the Delaware River at the mouth of Ridley Creek in what is now Eddystone Township. There they lived and farmed. Margret was reported to be a healer using the Finnish traditions. Then came the English. On February 7, 1683 (JC), Charges of Witchcraft were brought before the Pennsylvania Provincial Council. The complaint was lodged against Margaret Mattson and Gertro Hendrickson. The charges were many and the accusers were several of her neighbours and her own daughter in law. They included - making threats against her neighbors, Causing cows to give little milk, Bewitching and killing Livestock, appearing to witnesses in spectral form. The Attorney General brought the charges before a Grand Jury of 21 men on February 27, 1683, which returned a true bill of indictment that afternoon, which allowed the case to proceed to trial. A jury of 12 Men were selected. 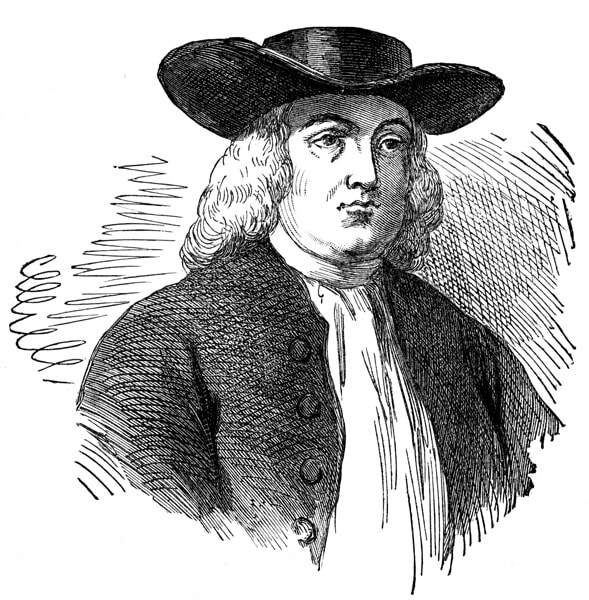 William Penn, himself, stood as Judge. William Penn Selected the jury, which actually included several Swedes. William disallowed the use of prosecution and defense lawyers, performing all the questioning himself. He also ensured there was a translator for the two accused, as neither woman spoke English. He did allow the testimony of unsubstantiated hearsay. He let the trial be open and the room was packed with witnesses. All proceedings were open to public witness. The transcripts of this trial remain in the most part. Mostly in relation to Margaret, goings on for Gertro remain a bit spotty and she is often not mentioned in records. She may have not even attended the trial. Henry Drystreet was the first witness. He testified that he had been told 20 years previously the Margret was a witch. She reportedly bewitched several cows. Charles Ashcom next took the stand to say that Mattson's daughter reportedly sold her cattle because her mother had bewitched them. The daughter also told Ashcom, he said, of the appearance of a bright light and of the visage she'd seen of an old woman, standing at the foot of her bed, holding a knife. Annakey Coolin testified that, while she and her husband were boiling the heart of a calf they believed died by witchcraft, Mattson entered their home and advised them it would be better to boil the bones. Margaret Denied the testimony calling it Hearsay. William Penn was a man of great tolerance. He realized there was more at stake than petty jealousy and greed. He must have seen this as a blatant land grab by the accusers. He also must have been concerned with keeping the peace between the Pre English settlers and the newcomers. The proceedings and questions seems to come down to a pair of questions by William Penn. This line of Questioning was written about in Harry Emerson book about William Penn. "Art thou a witch?" Penn asked. She denied that she was. "Hast thou ever ridden through the air on a broomstick?" Penn inquired. She was reported to be confused by the question. "Well," said Penn, "I know of no law against it." Penn tried to acquit her by pointing out no one brought direct evidence of witchcraft, and she had broken no laws of the Colony. He was reminded that he was under Common English law as well, and the Witchcraft act of 1604 was in effect. Penn gave the Jury final directions and sent them off to deliberate. These words were not recorded for prosperity. The Jury Returned with the Verdict of “ Guilty of having the Common fame of a witch, but not guilty in manner and form as she stands.”. ​ So she was convicted of having the reputation of a witch, but not actually doing anything witchy. Penn Deliberated. The Sentence was handed down thusly. They had to pay a fine for 50 pounds, which was refundable in 6 months if they did not witchy things in that time. The trial was started in the Afternoon of the 27th of February and ended the same day. Showing that William Penn wanted a swift conclusion to this situation. By precedent, it is ok to Fly on a Broomstick in the State of Pennsylvania. ​There were no official laws against Witchcraft during William Penn’s lifetime. In 1718 the Commonwealth adopted the existing English Laws on Witchcraft. In the 1750’s the statue against “ conjuration, witchcraft, and dealing with Evil and wicked spirits” ended. One has to wonder what would have happened had William Penn not been so even headed. The Witch craze that swept New England saw people being denounced from what is now Maine all the way to Connecticut. The concept of Penn showing religious tolerance seems to have extended to beyond just different Christian sects. He was a friend of the Natives and delt with them fairly. We at Metaphysics ' A Spirited Space' have stumbled across what is reputed to be part of the transcript of the trial. WE are printing it as we found it in it's entirety below.